IGTV stands for Instagram TV and it is different in some ways. First, IGTV is built for how you use your phone, so videos are vertical and full screen. Also, unlike Instagram, IGTV’s videos aren’t limited to one minute and each video can be up to an hour long. If you haven’t known it yet, at least, you’re likely to notice its icon in the corner of your Instagram app. In this article, you’ll understand what IGTV is, and discover tips for using the feature in your business. The idea of IGTV is very much based on the way people watch their favorite TV programs. 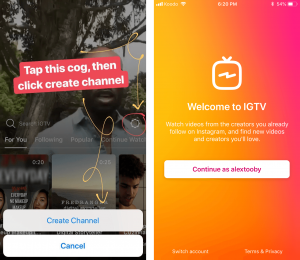 IGTV has channels for the audience to watch and each channel is separated to a specific creator, so your favorite creator’s video is all in one place and so easy to access. Like Boomerang, Hyperlapse, IGTV adds a new dimension to the content which enables users to share on the platform. Obviously, with IGTV, Instagram is taking in a more “social” way on YouTube and offering people a new feature to create, share, and engage with video. Where it really differs is in format and versatility. Unlike YouTube or Facebook, IGTV videos built specifically for mobile viewing and it will be shot and shared vertically. So, anything you know about video horizontally especially in a widescreen format can be tossed out the window for Instagram. 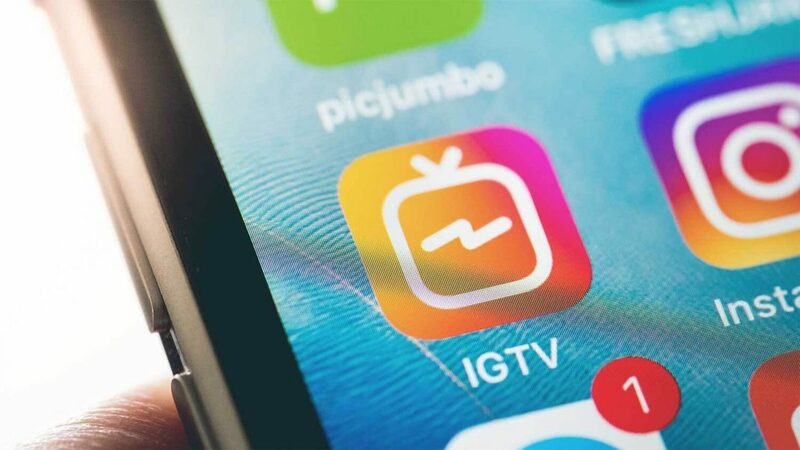 What Does IGTV Mean for Marketers? The new way to reach an audience is obvious. Businesses have been discussing the power of video for years. IGTV is an incredibly engaging medium and it is going to create a great opportunity for many marketers to reach a key target demographic of adults 18-34 years of age. This group of audience is widely considered to be those with decision-making power when it comes to purchasing. Remember, to put out videos is one thing; to create video content that attracts and connects with your customers and audience is something else. Know not only what content will get good feedback and what best represents your Brand, but also the kind of content your followers will want to consume on Instagram. If you have a brand that connects with your customers more through heartfelt and inspiring stories by Understanding your market identity and the personas that make up your viewers will provide you to be a video content powerhouse. How does long-form video content fit into the market strategy on Instagram? There are a lot of reasons to dive into this feature on Instagram and make it work for your market. IGTV works best with a clear strategy and goals like new social media platforms. From what I know, IGTV is set to be a critical driver in improving digital market awareness. Now, it is missing a search feature, which could be a concern for marketers. Right now, according to user interest, audience, and popularity. I think IGTV gives markets a unique advantage because it offers a great content experience for viewers providing a brand with an opportunity to deliver a strong market message to a captive viewer. It is a welcomed upgrade to Stories on Instagram and the short-form videos that markets produce. Until now, adding interviews and tutorials were just not viable on Instagram. IGTV means that businesses and creators can start publishing some of the richest video content around. IGTV adds a new level of video cross-promotion. For example, if you have a new YouTube video content, you can tease your new video with a vertical video on IGTV. Or maybe you tease your new IGTV by putting it on your Instagram feed. It should be super focused and sticking to one or three topics is key to success. it’s easier to go deep on three topics than going wide on many topics. Production of the content makes it much easier by the laser focus. It’s important to create valuable and quality content which keeps viewers engaged and makes them hungry for more. Launching like all social media is easy but the consistency is the key. Schedule your IGTV content. You must record it in bulk, but don’t upload all immediately. Keep your audience thirsty for more content by keeping the content fresh and attractive. Like Instagram, IGTV needs sticking to a schedule and being committed to it. Videos need to be launched from mobile because IGTV is mobile first, so grab the video on your phone but investing in editing them because that’s the place that great brands stand out. Editing can be maintaining a 9:16 aspect ratio. Markets should maximize the mobile estate. Editing also means to create a strong title. Based on an Instagram expert, Jenn Herman, titles need to be limited to 20 – 25 characters, also she says video content may get cropped. Remember, videos autoplay, so prevent loud intros or any other distractions. Home of hashtags is on Instagram. To promote the content by integrating them. The good number for them is somewhere between 5 -7 hashtags. Please don’t be a brand that uses so many hashtags. IGTV offers 15 minutes videos and this doesn’t mean that markets must use all of that time. Start with about 3-minute content, then scale up. The same as Instagram Story Highlights, this new feature gives you the ability to select a custom cover for the channel so it’s a chance for marketers to make a name for themselves. Maximize the power of IGTV like any digital content need a strong call-to-action (CTA). It allows the audience to click on a link or read a description, which means that a strong CTA can be powerful. IGTV is attractive for social media marketers, especially those who understand that video content is trending. As business start integrating IGTV, the competition will grow. Gaining a lot of views is good, but keeping your audiences interested is the key point. As always, quality content will yield the best results. It is very simple. In fact, many influencers are already making good use of IGTV. This is so easy, you can download the app in the App Store and Google Play. If you have the Instagram account, you’ll likely be logged in automatically. If you have not, you need just log in as you would when accessing your Instagram account or when you create it. When you log in, videos from other users that you are already following, start to play. A swipe up helps you to jump between the categories: “For You,” “Following,” “Popular,” and “Continue Watching”. Creating your own business channel for your brand is so easy to do. You can click on the “gear” icon and then you can see Create Your Channel option. When you click to create your channel the app will walk you through the steps to get up and running. When your channel is set up, you’ll see that you have the ability to upload video right from your camera. As a new user, you are limited to videos between 15 seconds and 10 minutes long. It’s important to remember to shoot vertically!